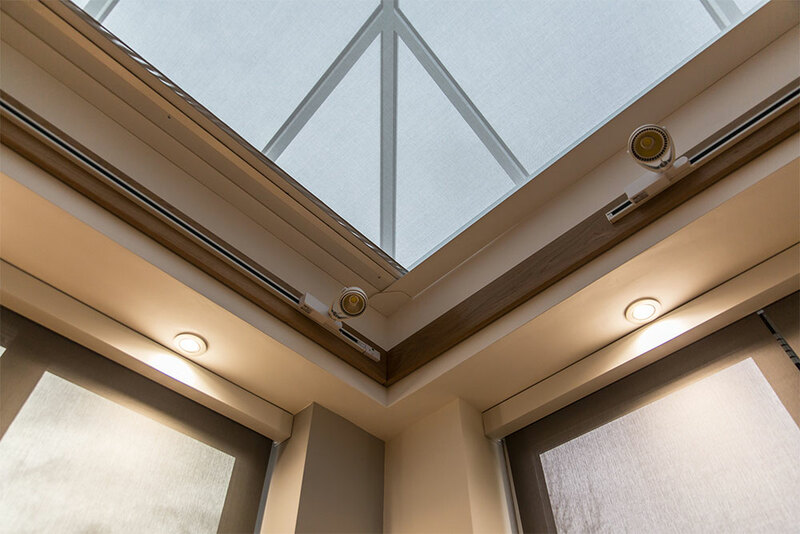 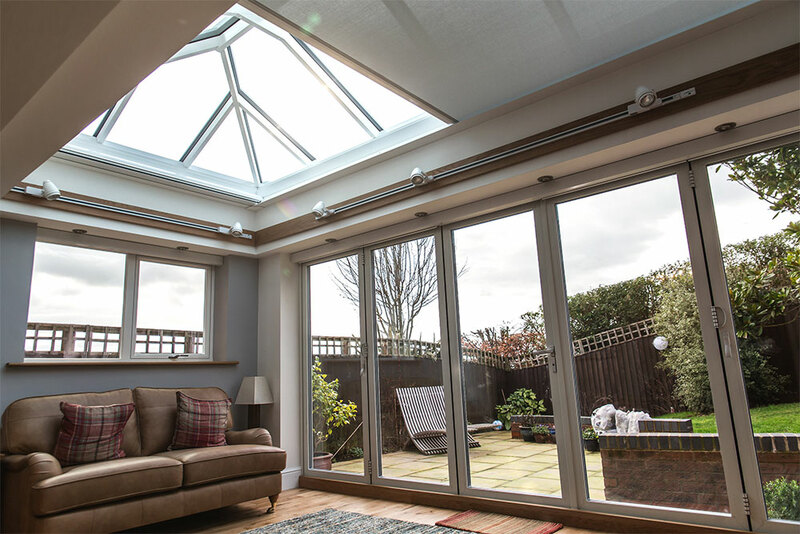 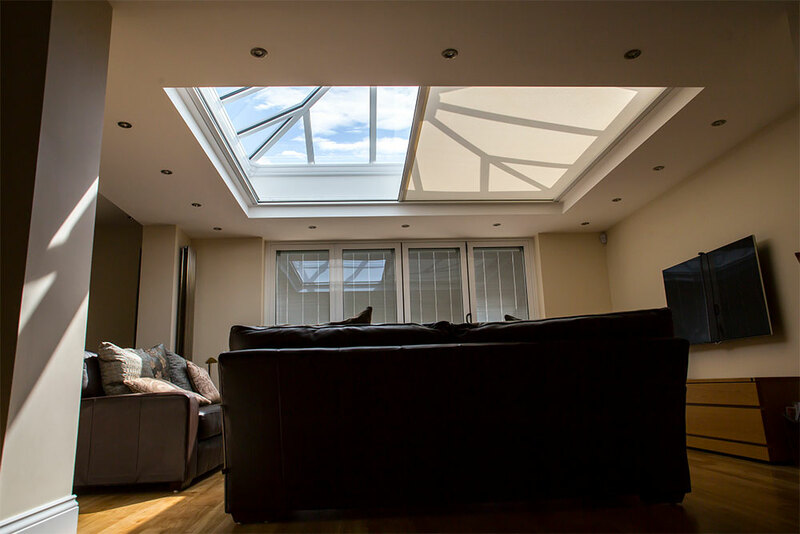 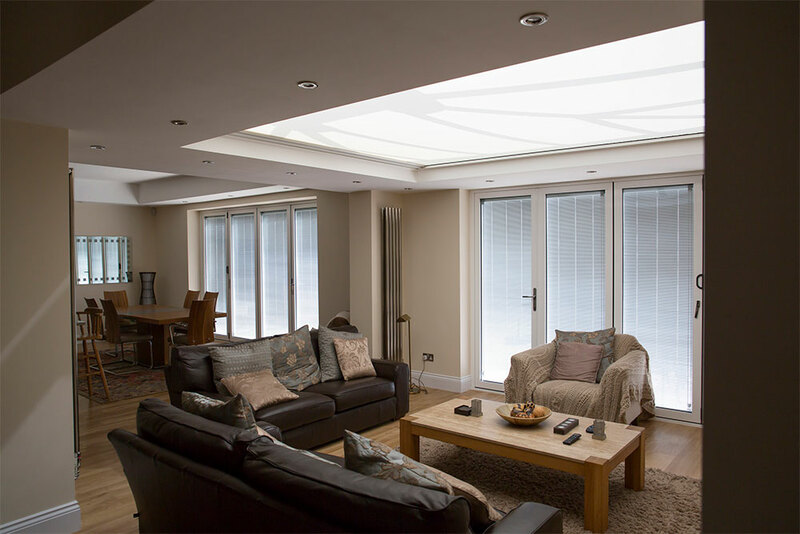 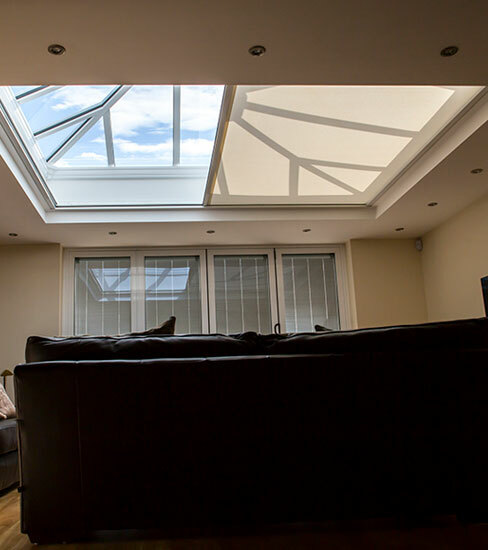 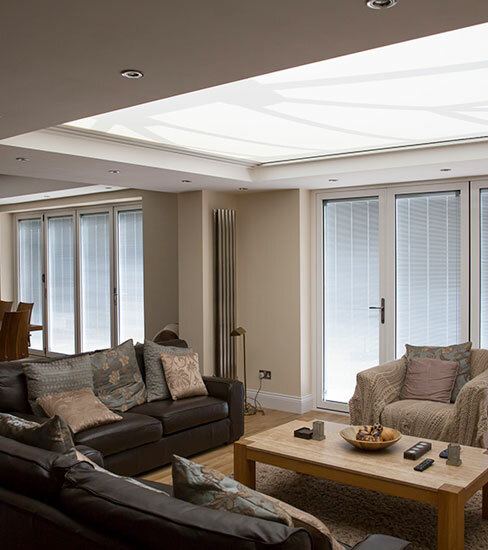 The Apollo Elegance Skylight system is a horizontal skylight system designed to transform Lantern Roofs, Skylights and Orangery roofs effortlessly. 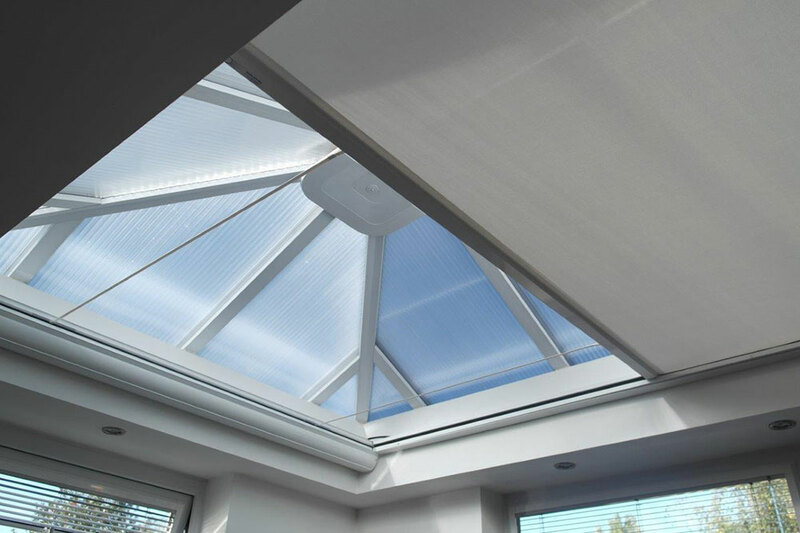 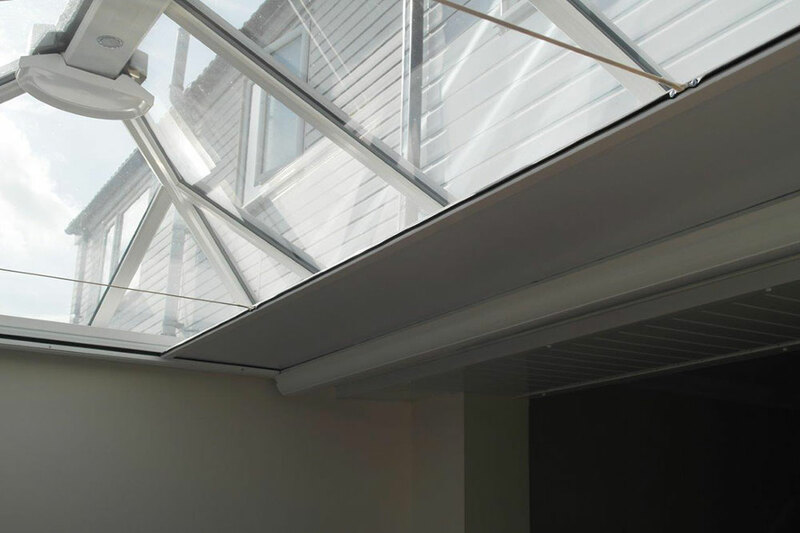 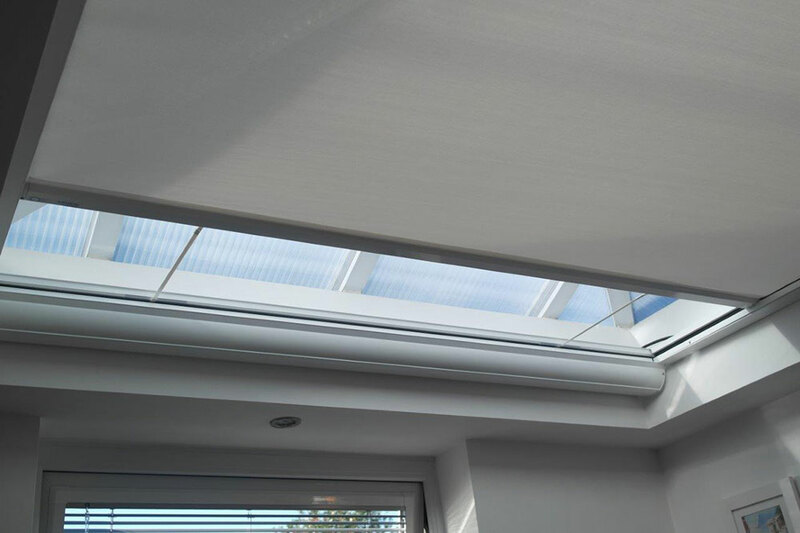 Designed to operate under tension covering areas up to 48m2 the Elegance Skylight system is the ideal solution for modern glazed architectural features. 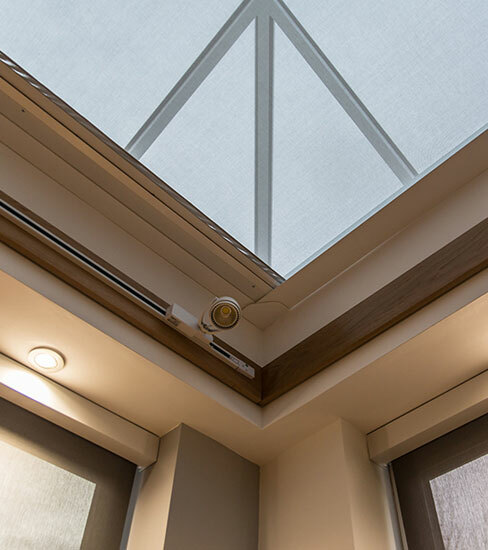 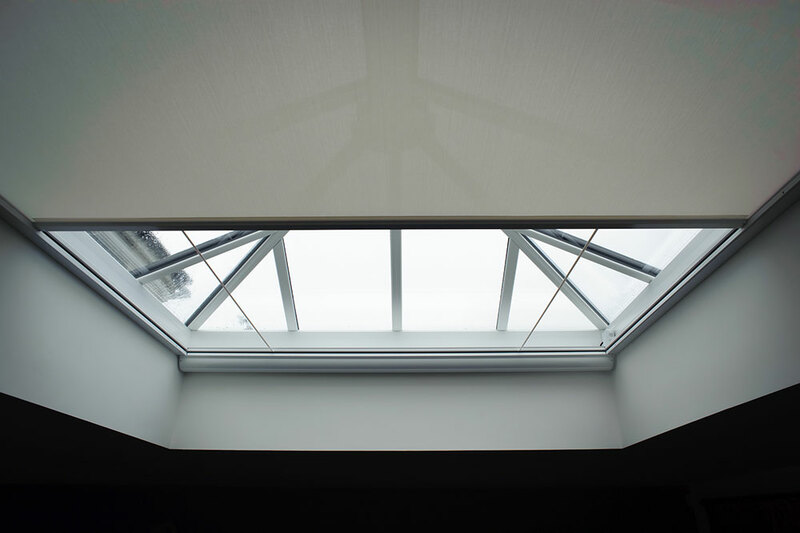 Elegance Skylight comes with a choice of hundreds of fabrics from blackout to screen depending on your particular requirements, all available in a huge range of colours to suit all types of décor. 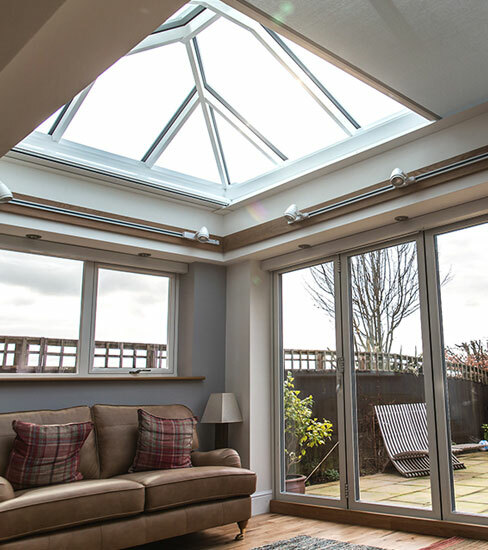 The powder coated corrosion resistant hardware is available in white as standard with the option of powder coating in hundreds of special colours. 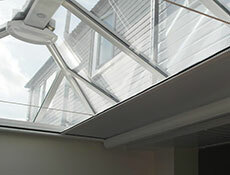 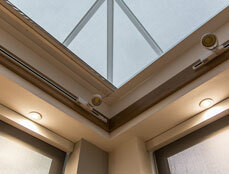 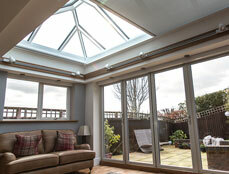 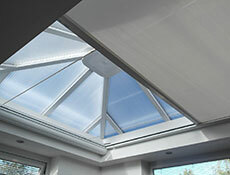 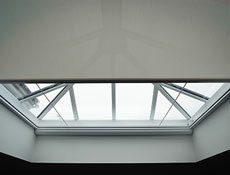 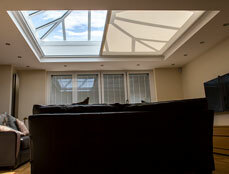 Your Elegance Skylight is operated either through a manual gearbox or motorised using Somfy RTS motors. 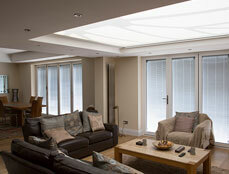 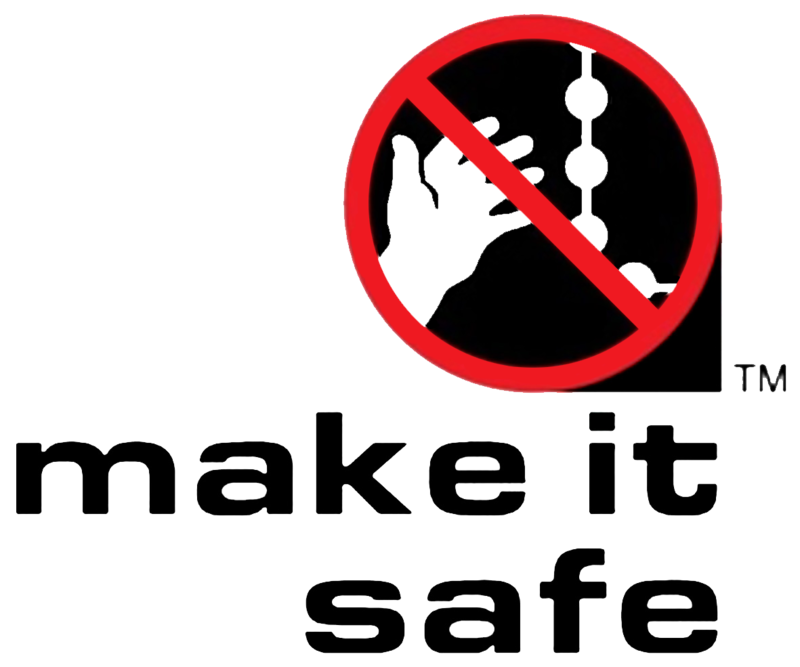 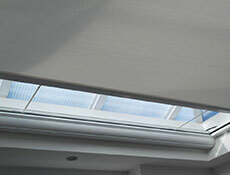 Motorised blinds have the option of a sun sensor or an electronic timer to control the blind fully automatically.